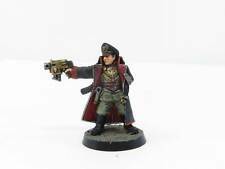 COMMISSAR with SWORD & PISTOLS. A base is included. Imperial Guard. You'd be daft to pass this one up. 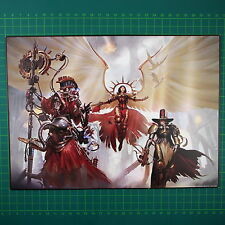 Rogue Trader Imperial Guard . A base is included. CADIAN SNIPER. Imperial Guard. A base is included. Astra Militarum / Imperial Guard . 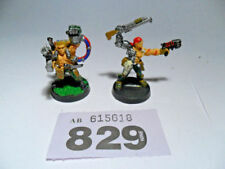 - CADIAN SHOCK TROOPER AUTOCANNON TEAM. You'd be daft to pass this one up. Now, the boring stuff. Imperial Guard. Now, the boring stuff. I recieve notifications on my phone so I can usually do this without delay. Item/s are sold as seen, What you see is what you get. The Hellhound is widely used by the Imperial Guard as a useful weapon to clear enemies out of cover. Typically deployed in dense terrain, the Hellhound excels at flushing dug-in infantry from their bunkers and boltholes. 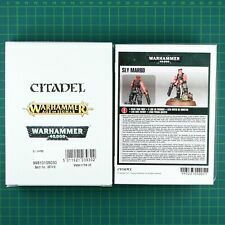 This item is a 1996 Imperial guard Storm trooper heavy bolter loader. These miniatures have been reconditioned by myself and are ready to be repainted and enjoyed all over again. Either way the paint job you lovingly bestow upon them will not be affected. They were based on the characters from the 40K novels and were a 40K version of the Dirty Dozen. 3 well painted leman russ tanks and unpainted pask model, astra militarum gw . 2 turret weapons are swappable for other variants and all the sponson weapons are unglued and included.Condition is Used. Warhammer 40K Metal IMPERIAL GUARD ASTRA MILITARUM VOSTROYAN OFFICER POWERSWORD. Condition is New. Dispatched with Royal Mail 2nd Class. 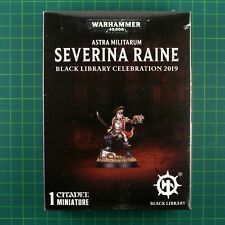 All models Will be wrapped in bubble wrap and card before being sent in a large protective envelope, any models too big will go in a small parcel. Converted to add plastic bolt pistol. Apologies for the reams of conditions. I will always combine the costs on multiple wins if you wait for an invoice. Two very rare SFD Giant Robots, Striker and Scout. Both have never been painted. Standard needs pinning. Ideal for the basis of a kill team. I will always combine the costs on multiple wins if you wait for an invoice. Imperial Guard Cadian Special Weapons. Piscean Warrior. Tail may have had the very tip clipped slightly. Decently base painted. A few scratches and scrapes need a touch up. I will always combine the costs on multiple wins if you wait for an invoice. Apologies for the reams of conditions. Pre painted and flocked. Partly repainted. Also includes short wall A fairly limited release which provides a nice bit of scatter terrain. Apologies for the reams of conditions. I will always combine the costs on multiple wins if you wait for an invoice. 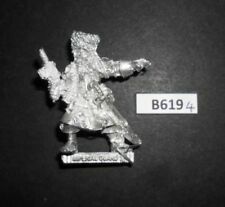 This item is a 1980's rogue trader imperial Squat biker warlord body. Orders over £50.00 rest of the world. 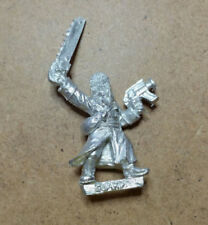 This item is a Rogue trader era C100 chainsaw warrior, i am not aware if this miniature belonged to a certain army, but he looks human so i have listed him as an imperial guard miniature. Scale 75 Fallen Frontiers Reboot Kickstarter unassembled Ares Trooper Heavy Weapon in resin. 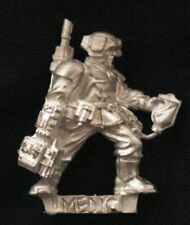 Hard SF miniatures in armour. Apologies for the reams of conditions.